LOS ANGELES -- Newly released video shows the moment a Google self-driving car learned the hard way not to tussle with a public bus. The Lexus had to be towed. Neither the Google employee in the driver's seat -- who must be there under California law to take the wheel in an emergency -- nor the 16 people on the bus were injured. "This is a classic example of the negotiation that's a normal part of driving -- we're all trying to predict each other's movements. In this case, we clearly bear some responsibility, because if our car hadn't moved there wouldn't have been a collision," Google wrote of the incident. The video footage shows angles from eight onboard cameras. 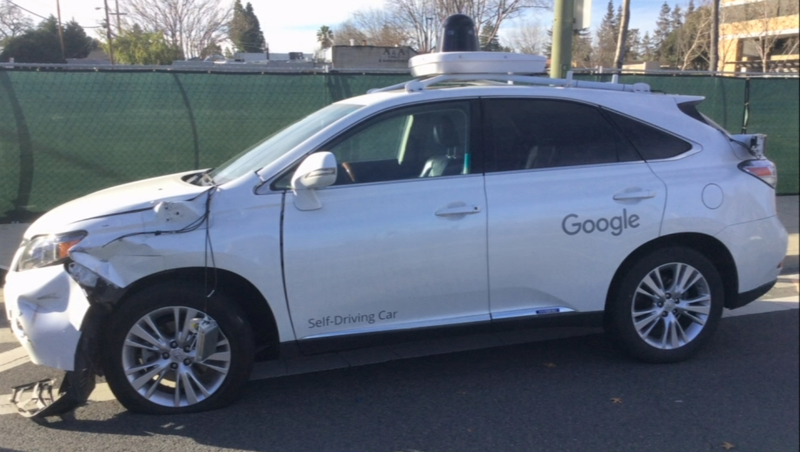 Google has reported that between September 2014 and November 2015, its prototypes drove themselves about 400,000 miles on city streets near its Silicon Valley headquarters without causing a collision. Last June, California state officials released reports detailing six accidents that involved self-driving car prototypes, reversing a policy that shielded details of how the next-generation technology is performing during testing on public roads. According to the reports, most of the cars were in self-driving mode when the accidents happened, and the other driver caused the accident. None of the crashes was serious enough to cause injuries.